Development teams aren’t usually based out of a single office anymore. More often these days, crews of skilled coders are pulled together from far-flung corners of the world, then work together through the magic of web collaboration tech like Codeanywhere. Whether you’re separated by a few desks or literally thousands of miles, Codeanywhere is the web dev environment that is making it easier for write, edit, and collaborate on virtually any code from any device. Right now, you can get access to the Codeanywhere platform for life with a single $75.65 purchase — an over 90 percent savings — from TNW Deals with coupon code: GIFTSHOP15. With Codeanywhere’s cloud-based editor, you, your partner, or even online friends or experts can offer feedback, check for errors, or even run your program without locking everyone else out. Whether you’re working on a PC, laptop, tablet or smartphone, there’s an interface to help you take advantage of Codeanywhere’s robust customization functions and work under your optimal conditions. Set up multiple cursors, shifting color schemes, modifiable layouts — whatever you need to do your best work. 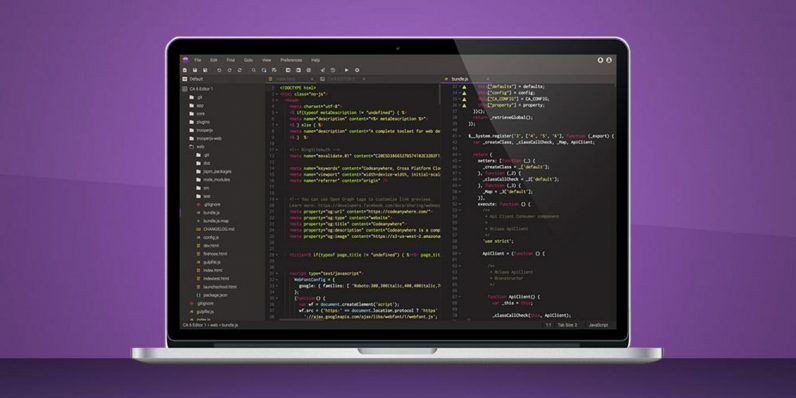 Codeanywhere helps you code the way you want to code and at over 90 percent off its $1,260 MSRP, it’s worth checking out one of the simplest, yet most powerful development environments on the web.